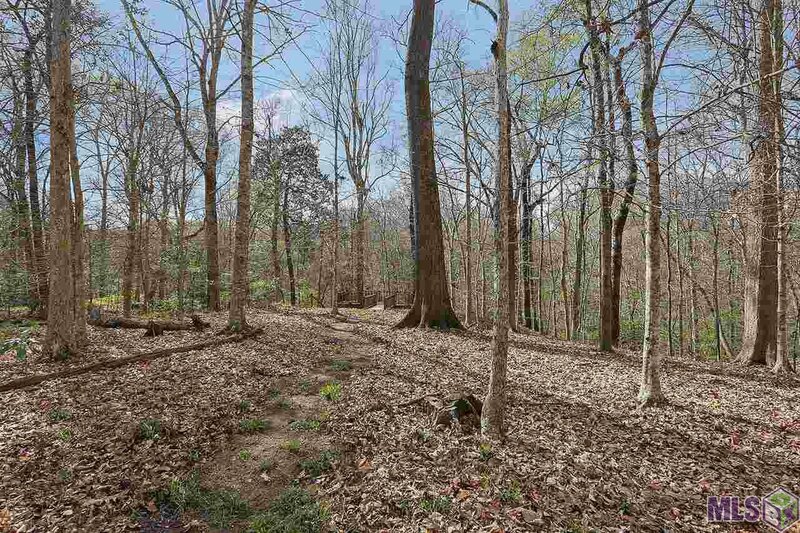 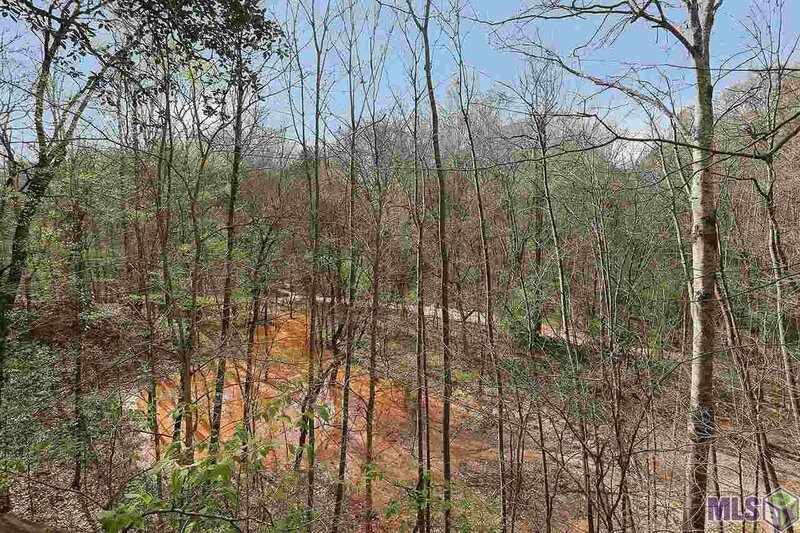 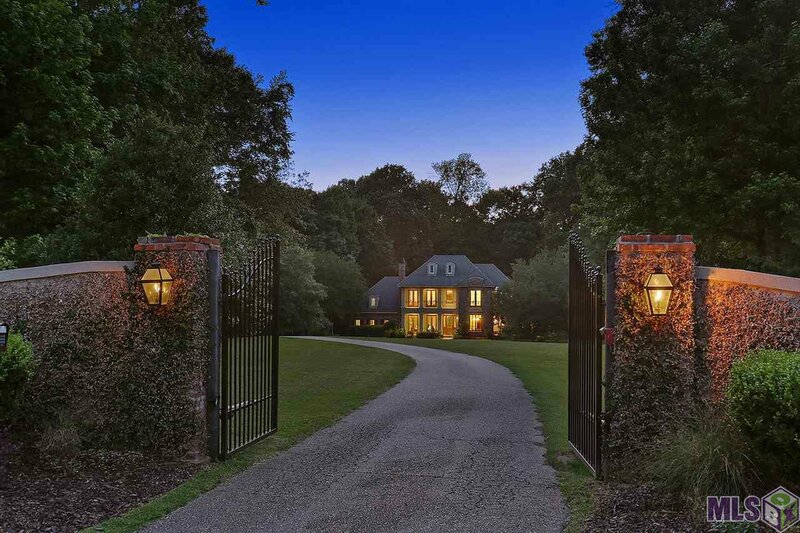 You will love coming home to this Beautiful Estate on 11.26 Acres in the gentle rolling hills of St. 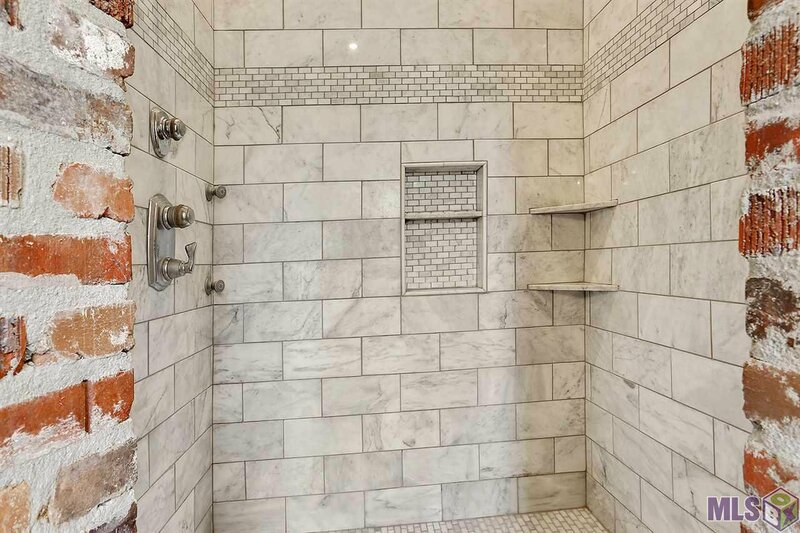 Francisville!! 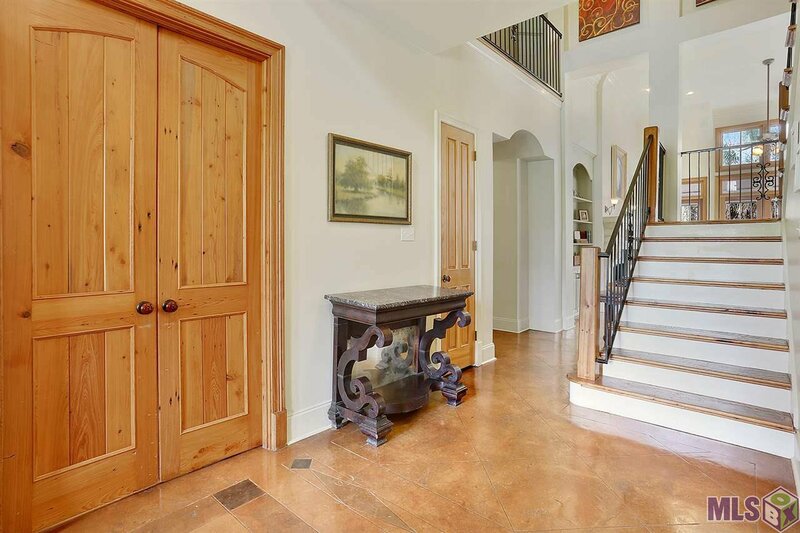 This lovely home has a nicely landscaped , gated entrance with a winding blacktop drive leading to the home. 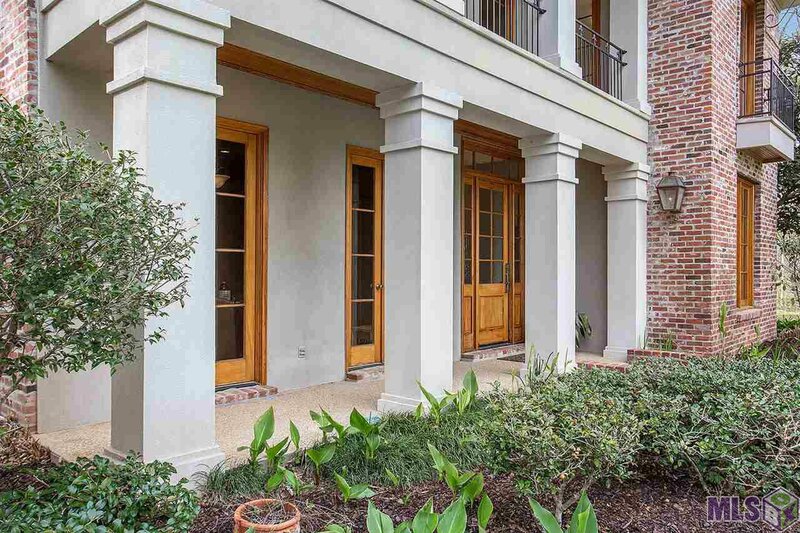 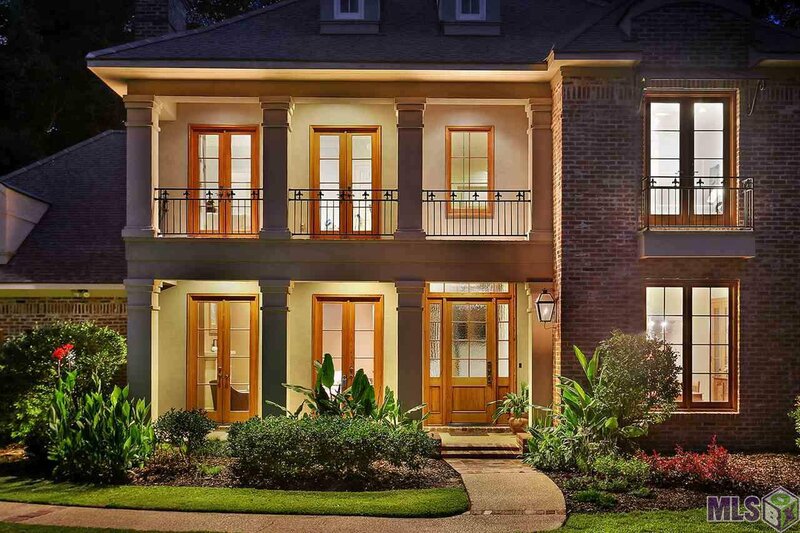 The New Orleans style architecture with lots of antique brick and wrought iron porches give the home a grand but very comfortable feeling. 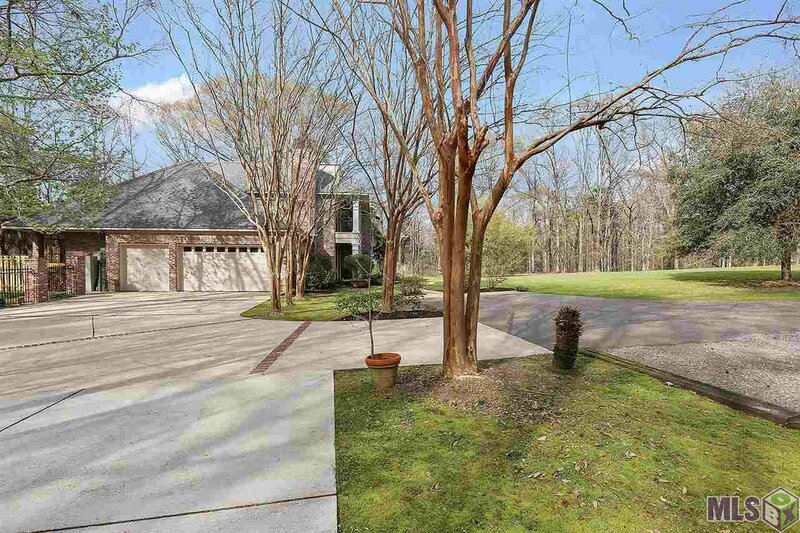 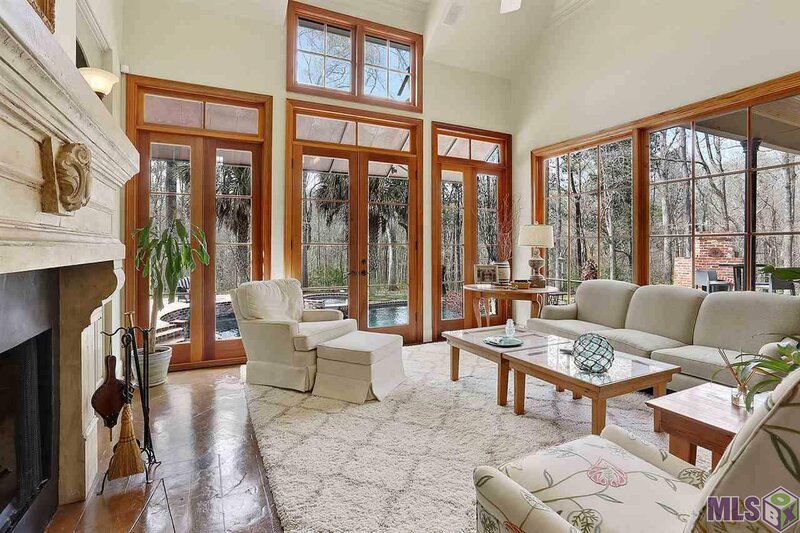 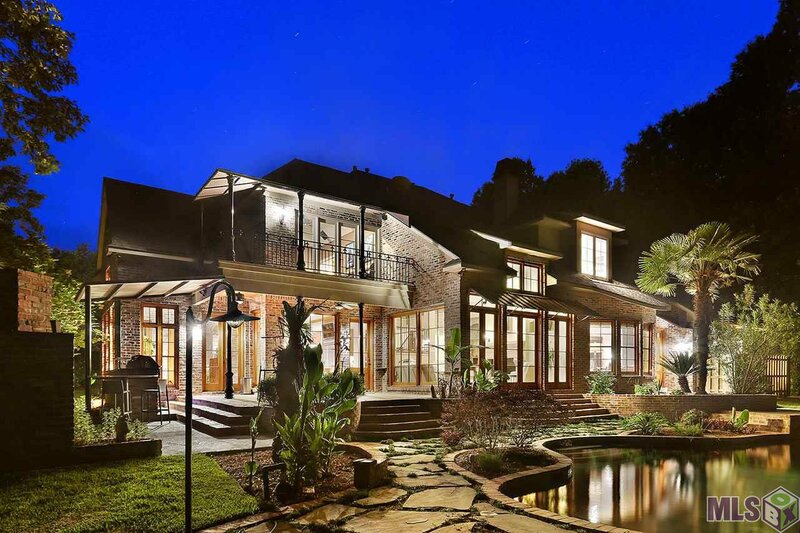 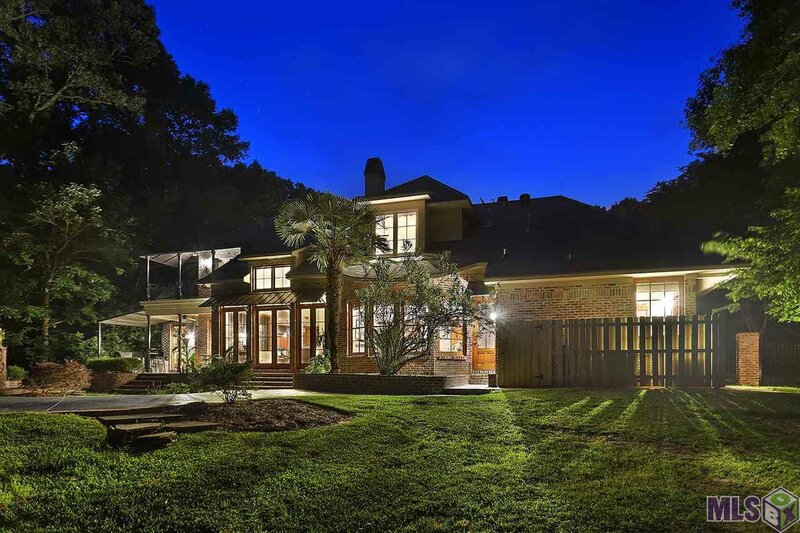 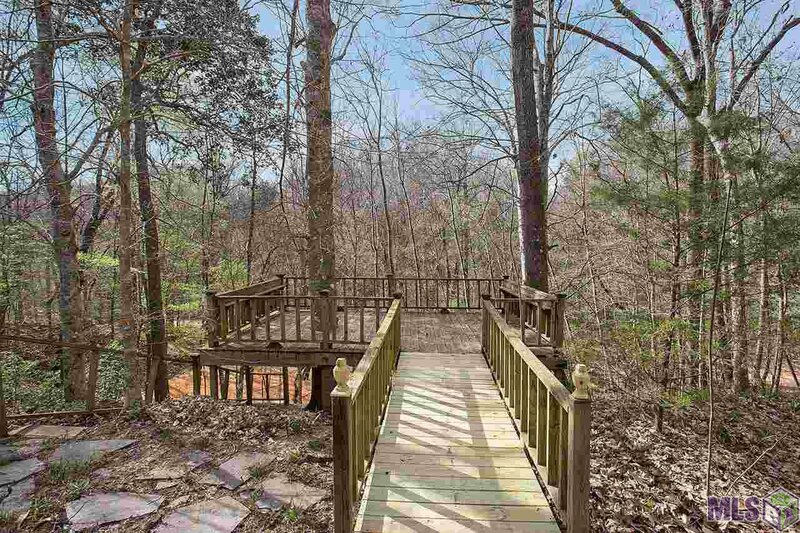 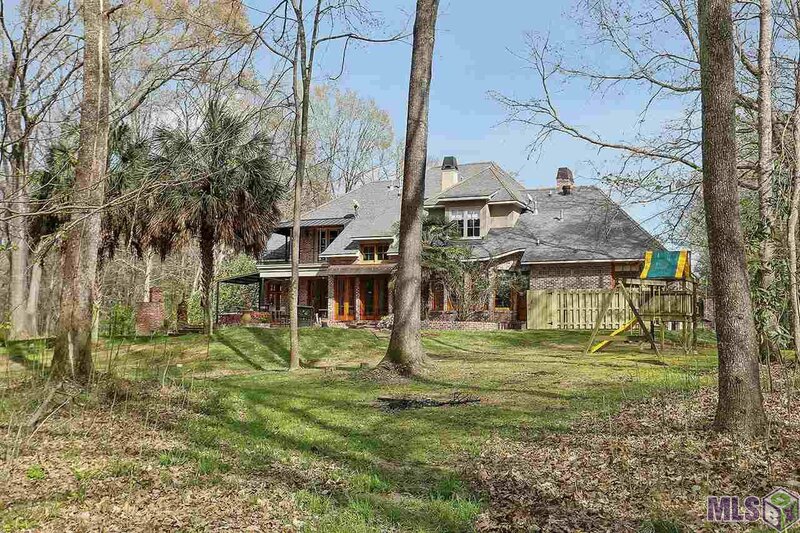 This home has a very open feel and is the perfect entertaining house. 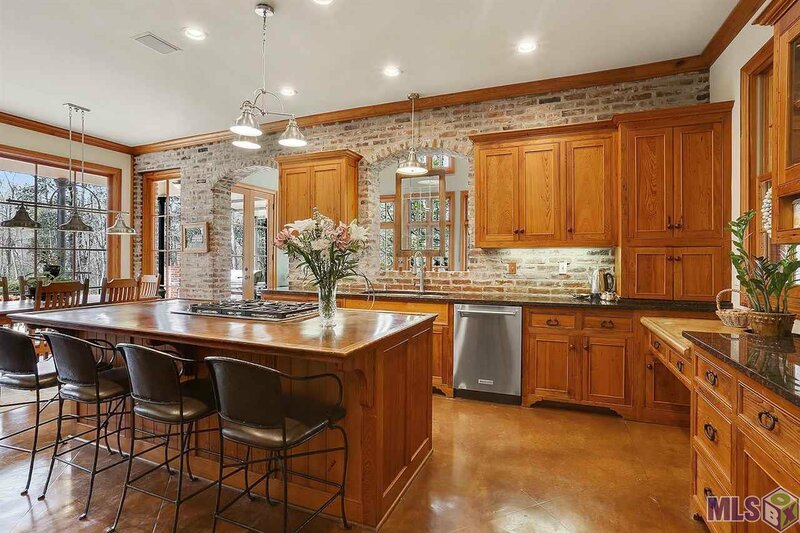 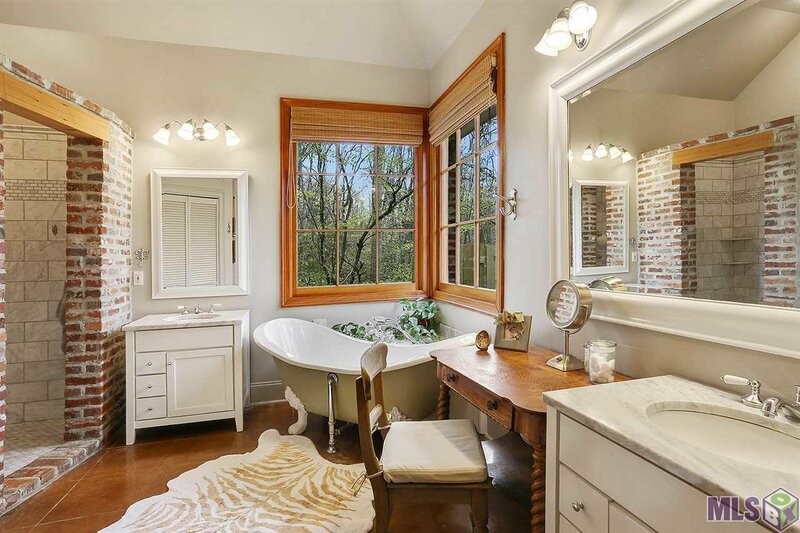 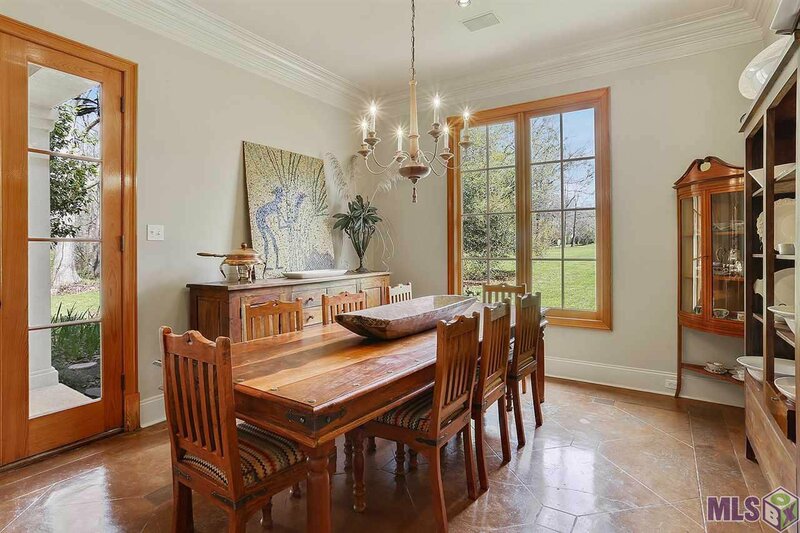 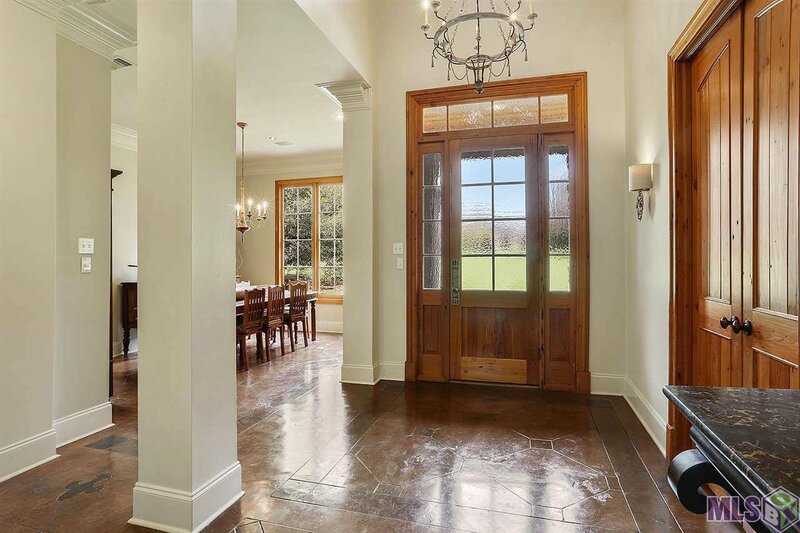 The materials used throughout the home are high quality and custom such as 14” crown moldings, old cypress and hardwood windows/doors, cypress bead board, copper awnings, dirty top floors, Old St. louis brick, and a whole house speaker system. 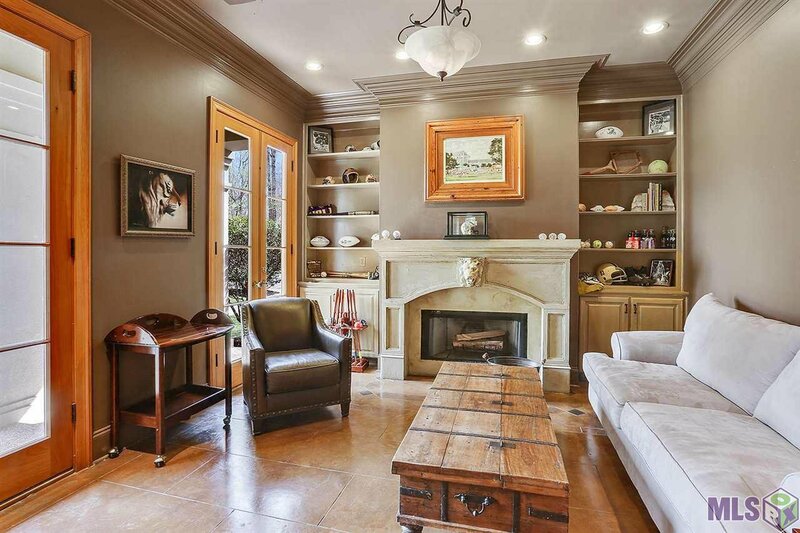 The study at the front of the house has a Wood burning fireplace, a gorgeous custom mantle and a wall full of built-ins . 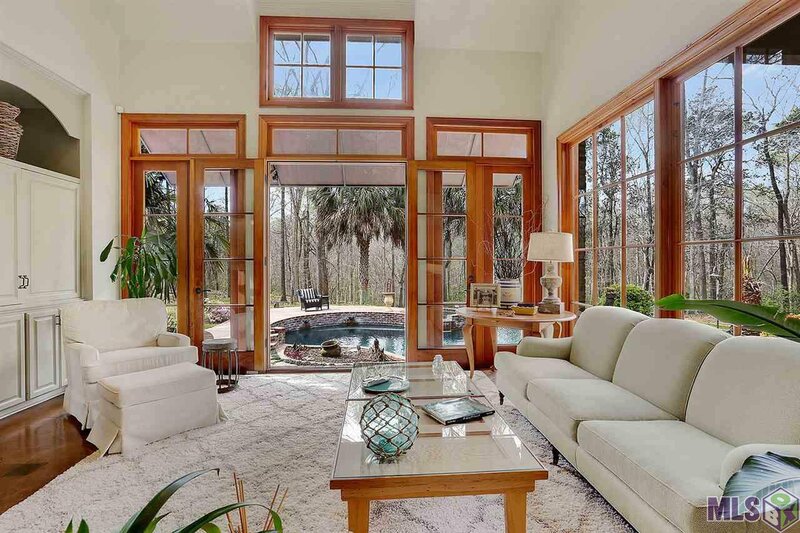 The living area is very spacious with High ceilings and a lots of windows and French doors giving the room lots of natural light. 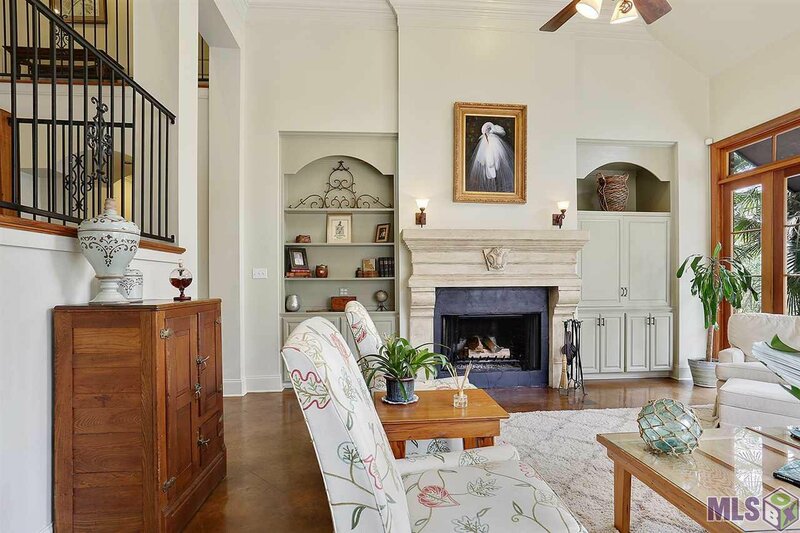 The wood burning fireplace and custom hand crafted mantle are just gorgeous! 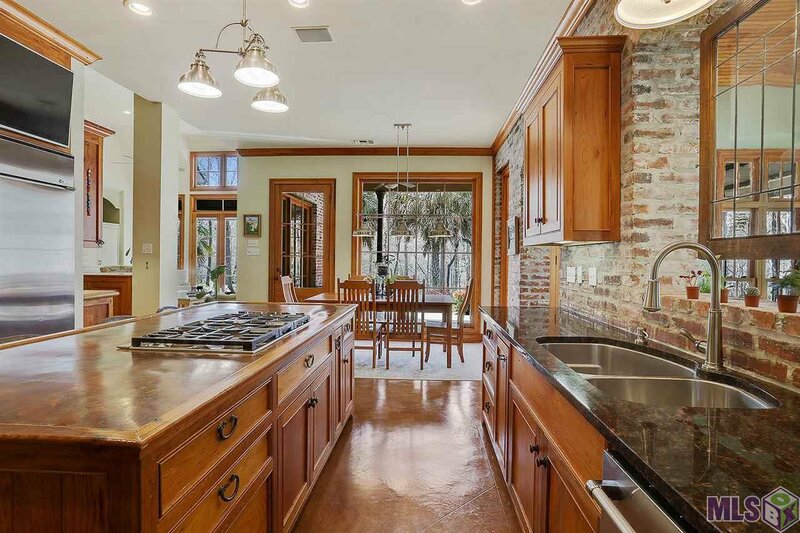 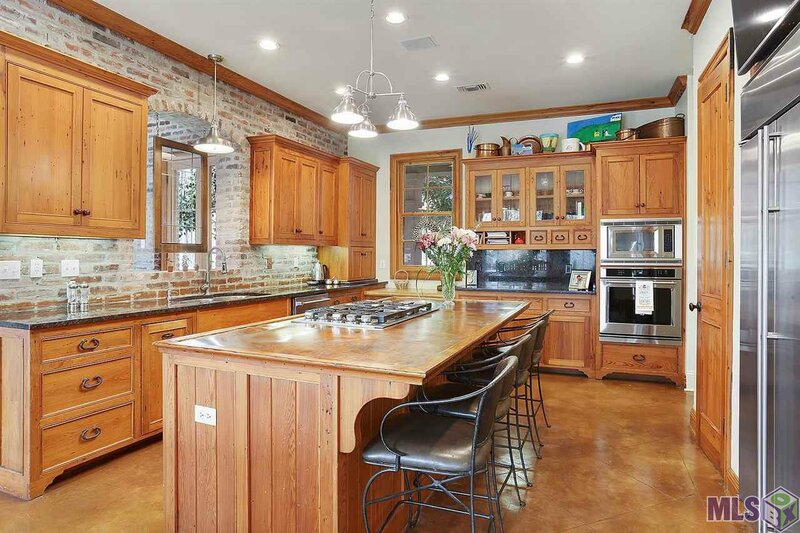 The kitchen is a chef’s delight with top of the line stainless appliances, plenty of workspace on the huge island topped with antique copper, lovely old cypress cabinets and 3cm granite counters in the rest of the kitchen. 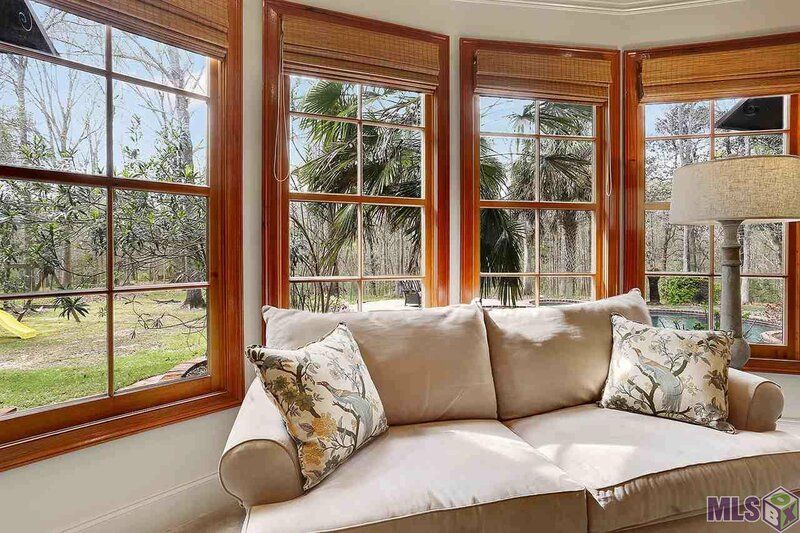 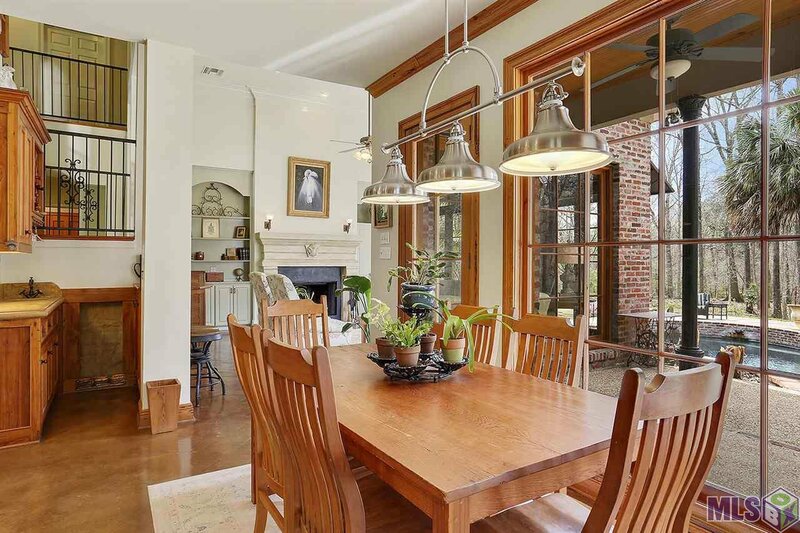 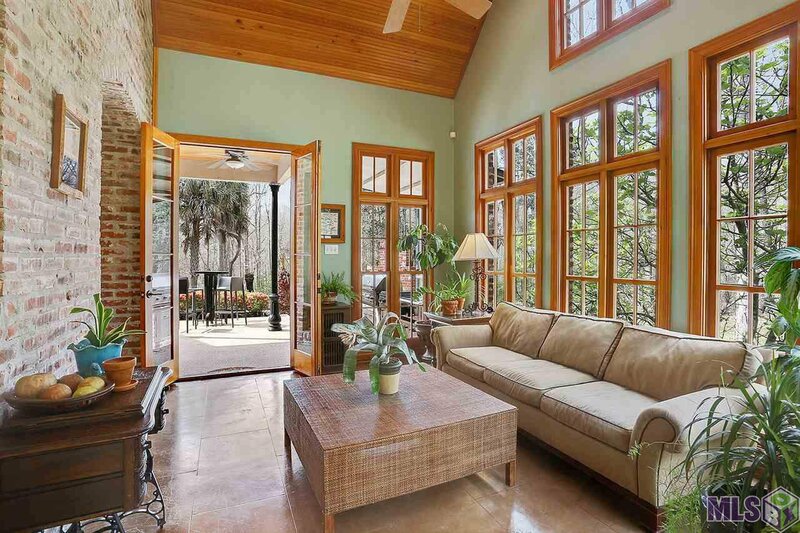 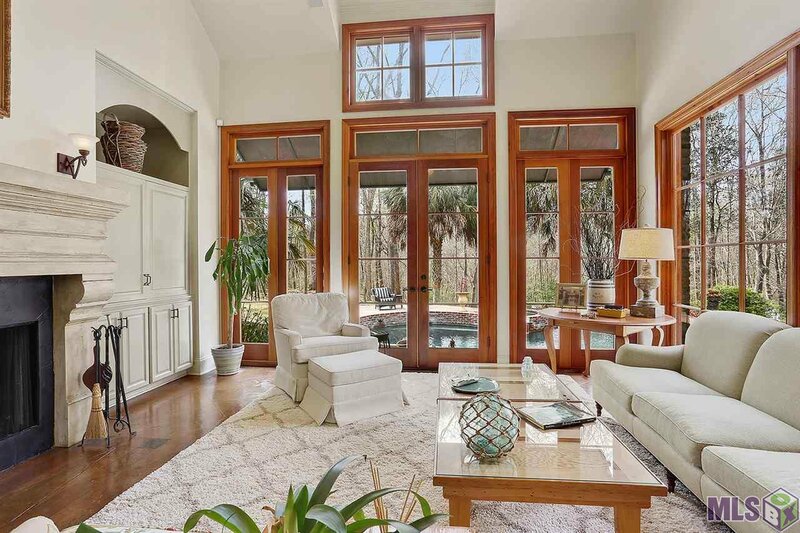 The sunroom just off the kitchen is a comfy spot to read a book with lots of windows and antique brick archways. 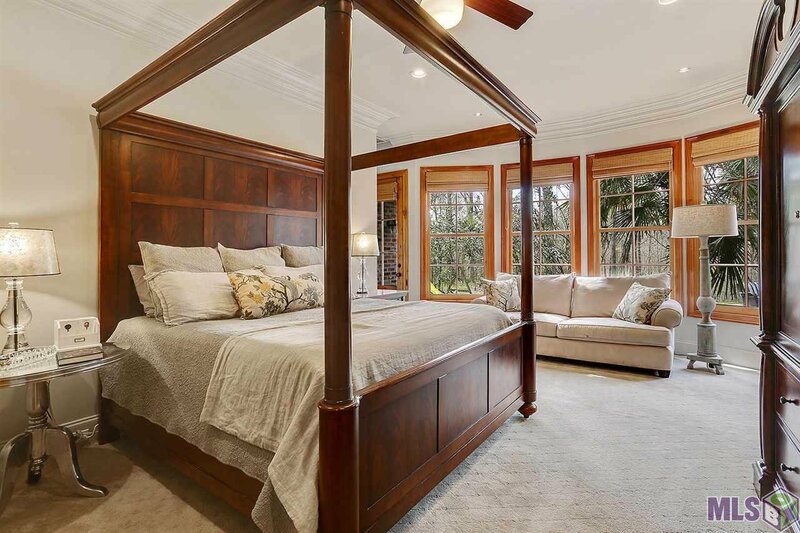 The Master Bedroom and bath are a true retreat with a beautiful wall of windows overlooking the backyard and pool area. 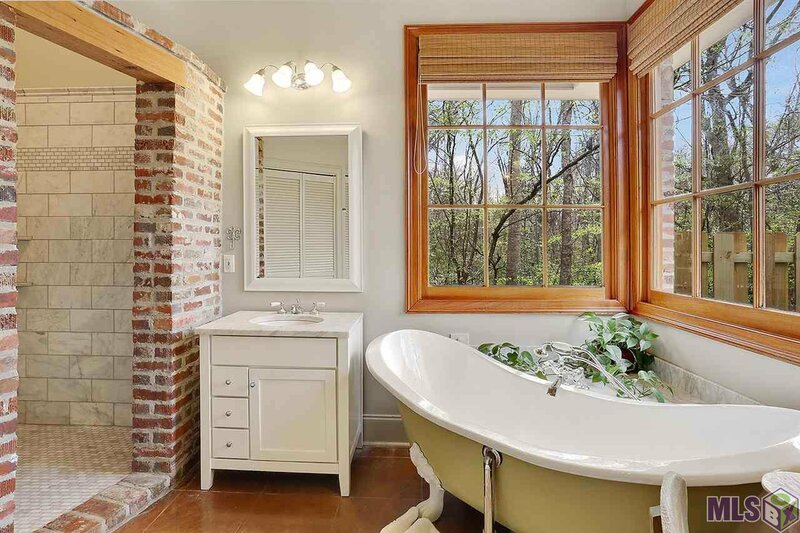 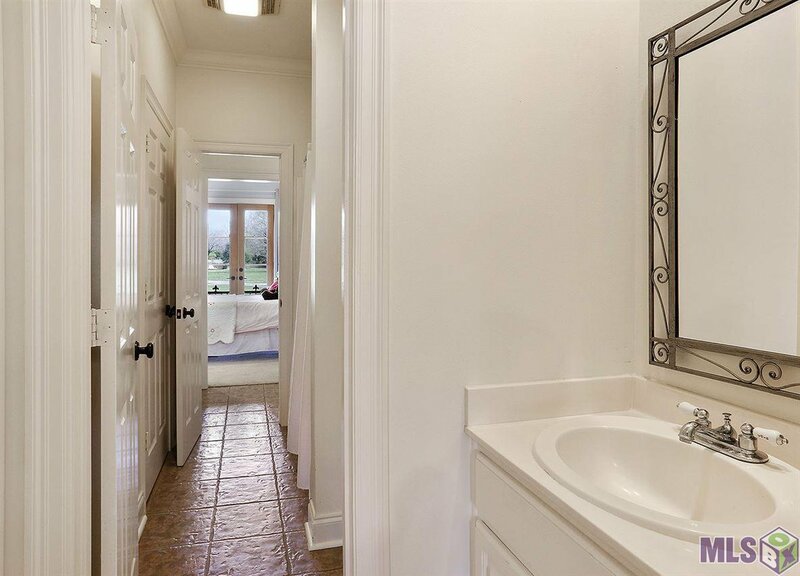 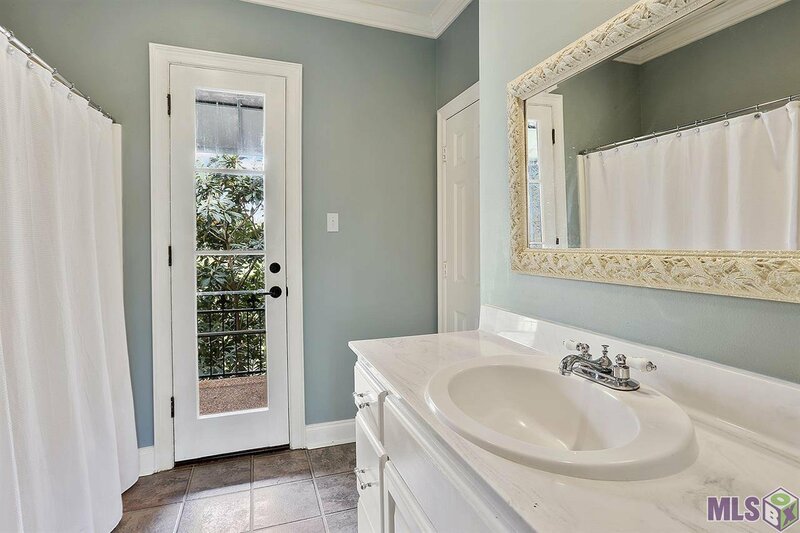 The other Master Suite features include a beautiful claw foot soaking tub, custom shower with Carrera marble and brick featuring several body jets, and two very large walk-in closets with custom built-ins. 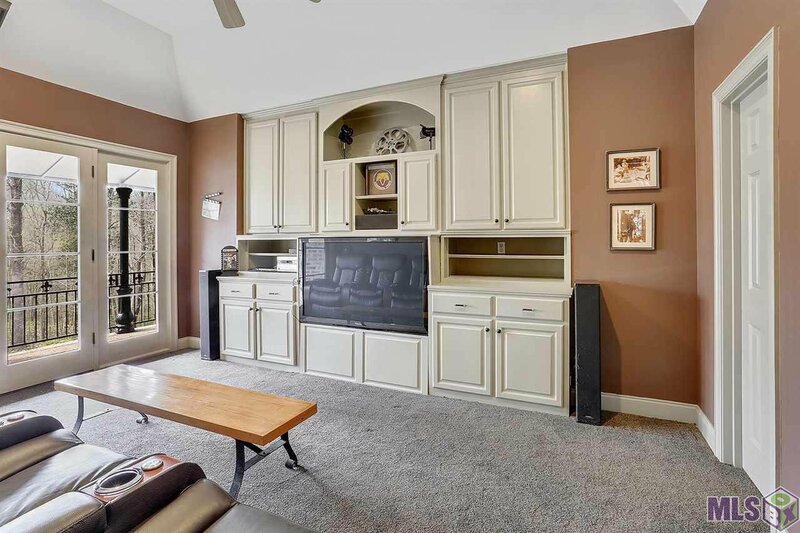 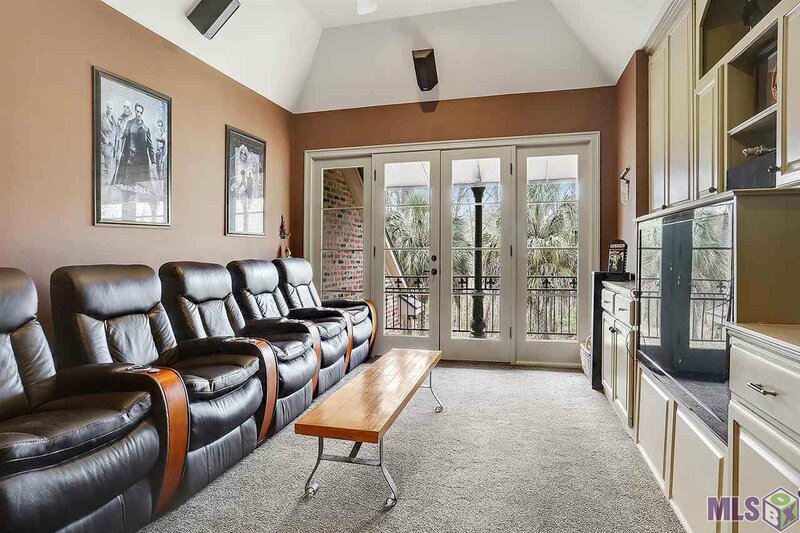 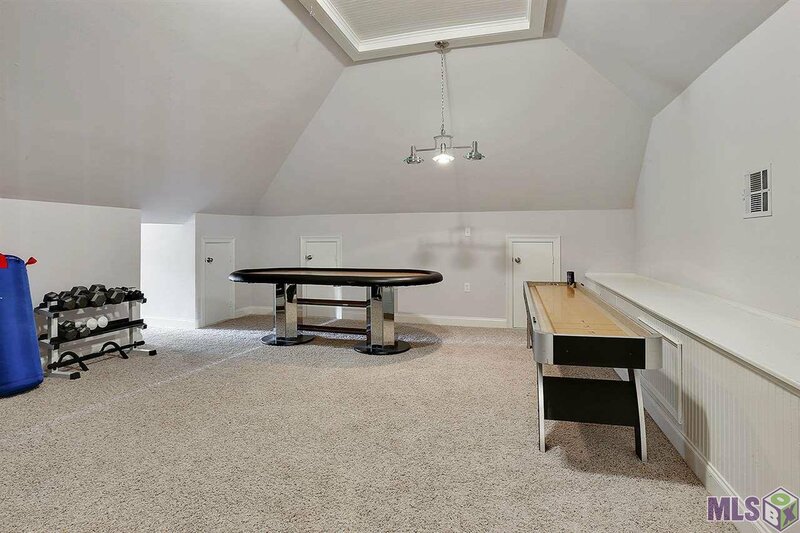 Upstairs you will find 3 spacious guest rooms, 2 full baths, an exercise/gameroom, an office nook, AND an incredible media room with surround sound and TV that will remain. 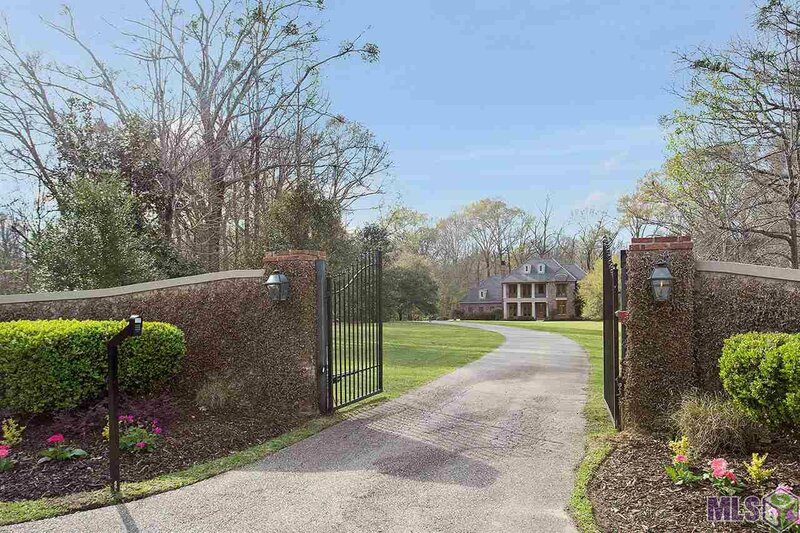 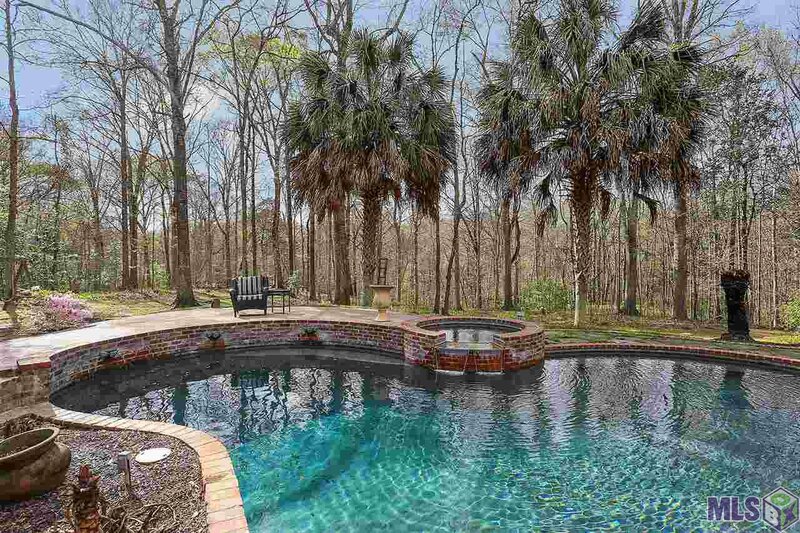 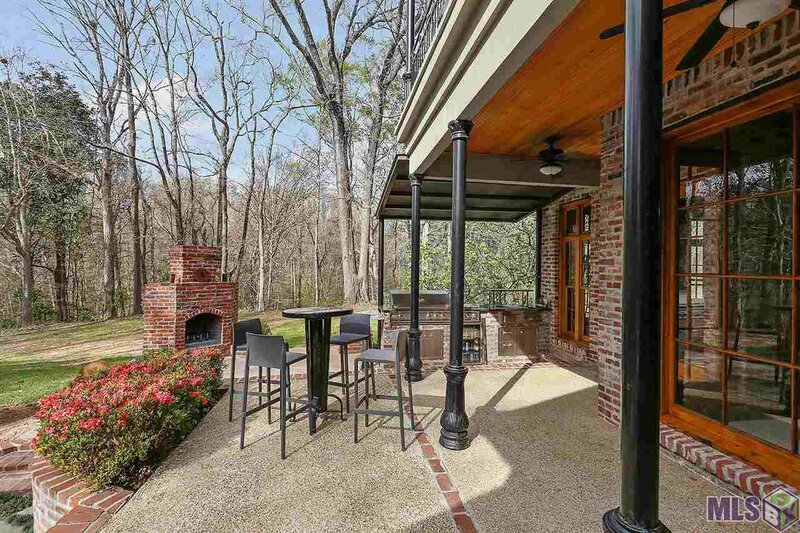 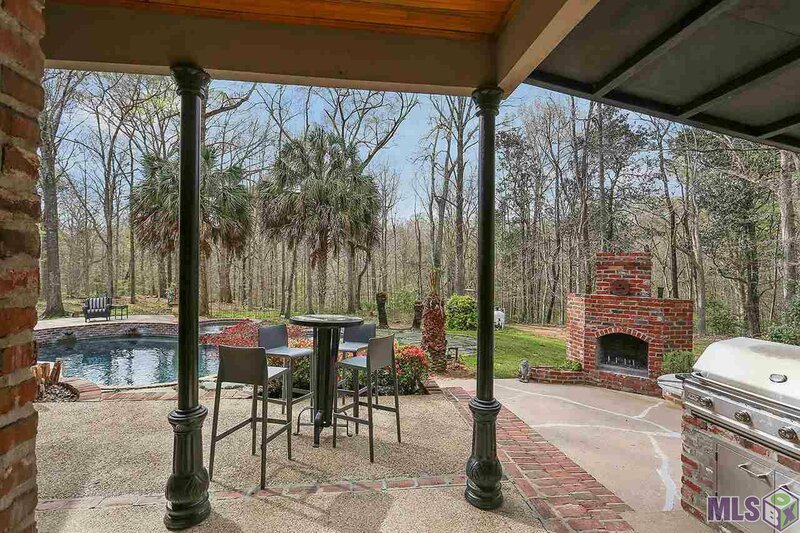 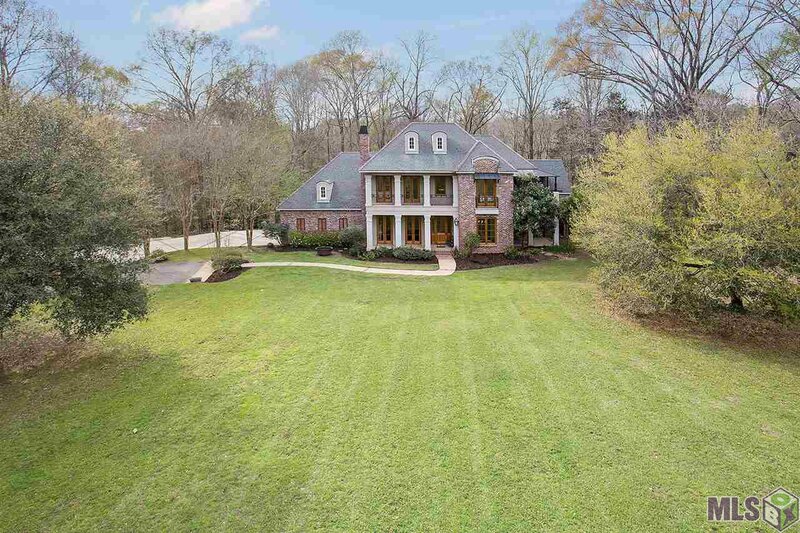 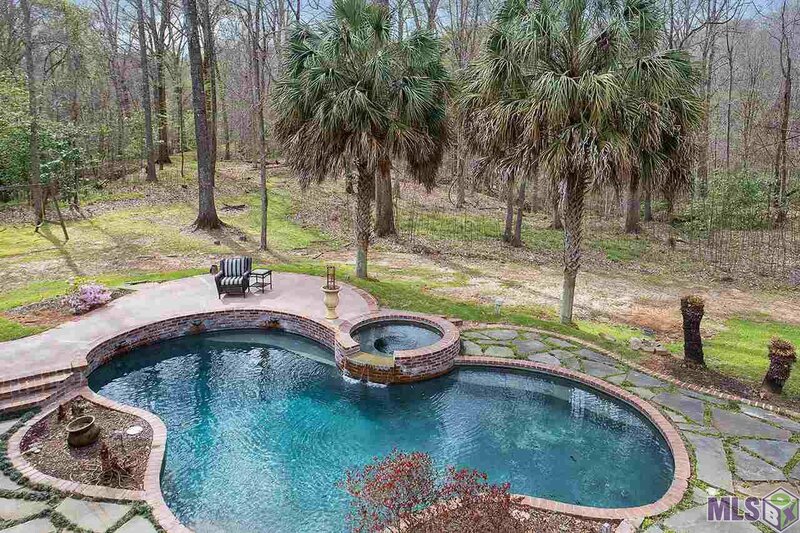 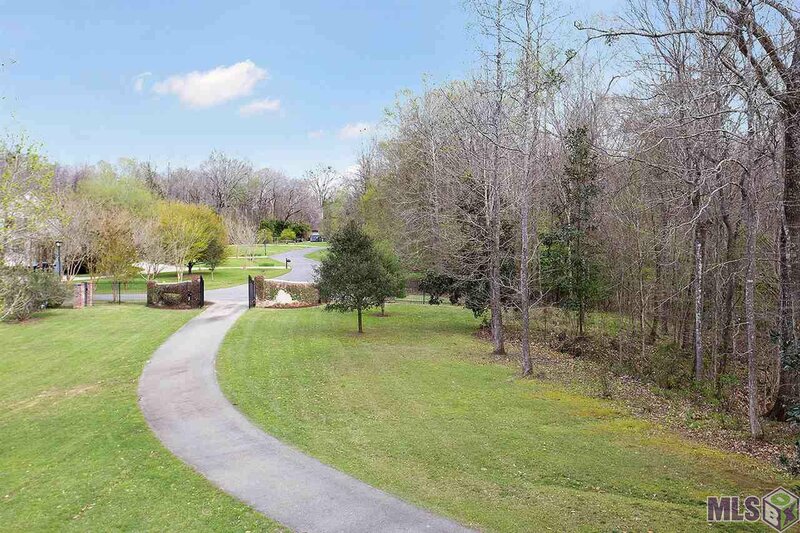 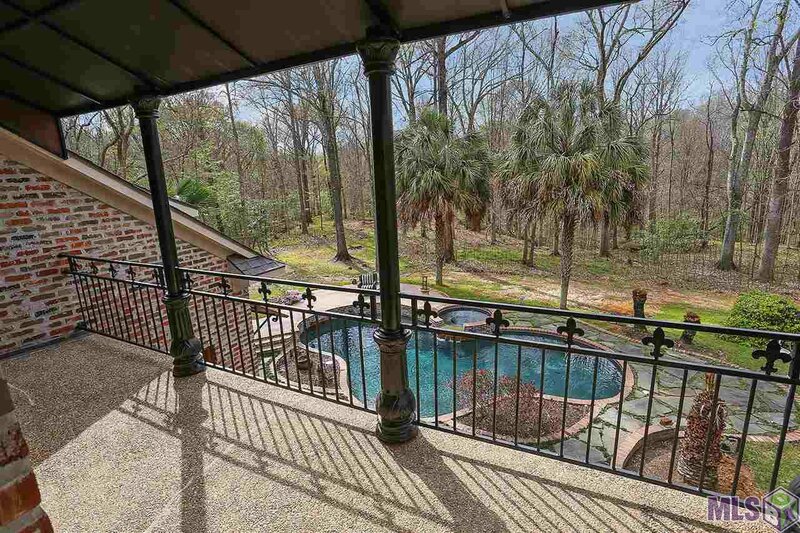 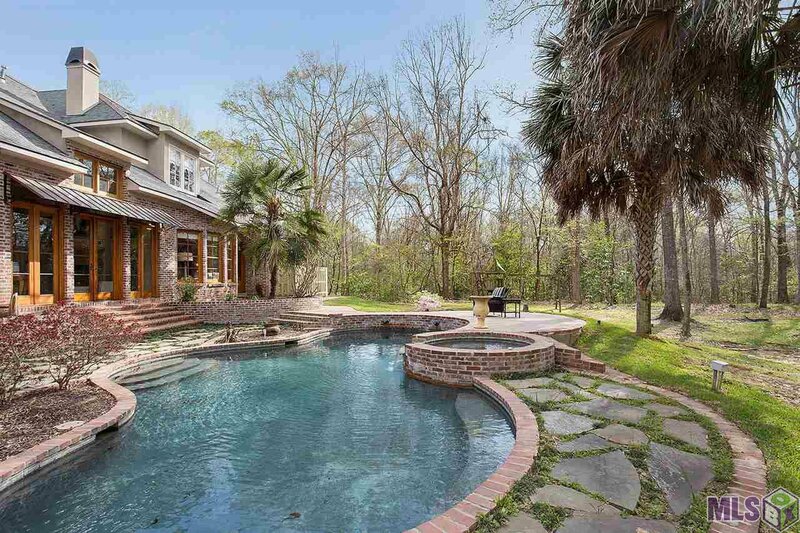 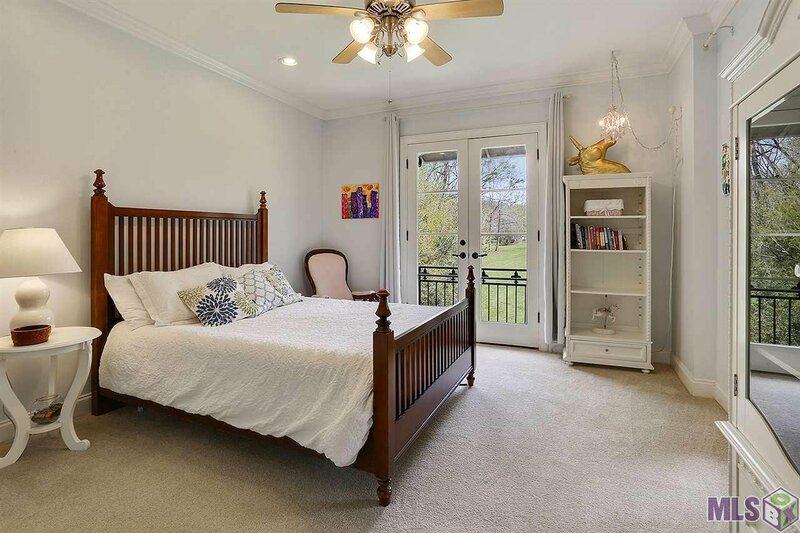 The private backyard is an entertainers dream with a Stunning gunite pool with waterfalls and a hot tub, a brick fireplace and a full outdoor kitchen.